Blurb: There was nothing, and then there was a train. A train with two passengers: a petty thief from a dead-end town, and an android girl who could be more human than the rest of us. Join Zen and Nova as they find out what really lies beyond the end of the universe . . .
Zen and Nova have ridden a train from one world to another before. They come from the Network Empire, whose stations are scattered across half the galaxy. But this time it’s different. They’ve passed through a gate which shouldn’t exist at all. They did terrible things to open it, they don’t know where it leads, and now they can never go back. A PLACE THAT NO ONE ELSE HAS EVER SEEN. This sampler is the start of the second book in a series so it was a bit full on being thrown into a strange world and characters I got the impression we as readers were supposed to already know. That said, it wasn’t overwhelmed and totally lost – the description was full and rich enough to stand alone and there was just enough backstory hinted at and filtered through that everything made enough sense to stay interesting. The characters that were introduced were interesting and varied and their seperate stories were gripping and I was curious to see how they would intersect later on in the story. The story was quite fast paced and I was suckered right in, once again forgetting that this was a sampler and being disappointed when I reached the end. If I see Railhead in the library I will definitely pick it up to see how this adventure all started and then hope they get Black Light Express in as well so I can read that too. Blurb: Lisa Thompson’s debut novel is a page-turning mystery with an emotionally-driven, complex character study at its core — like Rear Window meets The Curious Incident of the Dog in the Night-Time. The Goldfish Boy reminded me of both The Curious Incident of the Dog in the Nighttime and Everything, Everything in its writing style – it was very easy to read and Matthew seemed like a relatable character that you could grow to love. There was just something lacking that I can’t quite put my finger on – I happily read the sampler from beginning to end but I equally happily put it down and wasn’t bothered that I didn’t know what happened next. I think it could be a good read and if I saw it in the library I’d probably pick it up but I won’t be rushing out to buy it. 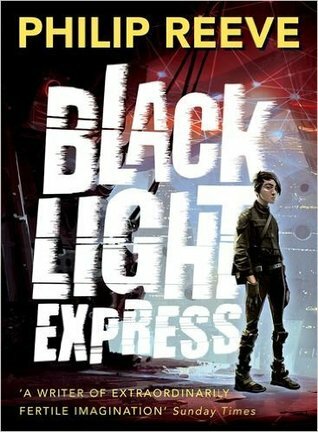 Black Light Express by Philip Reeve is being released on October 1st 2016 and can be preordered here. Follow Philip Reeve on Twitter here. 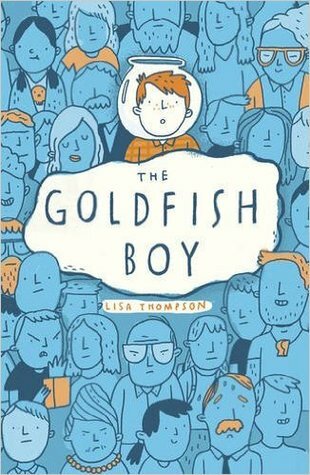 The Goldfish Boy by Lisa Thompson is being released on January 5th 2017 and can be preordered here. Follow Lisa Thompson on Twitter here.